4/15/17: Amazing! Hampton Bays is vocal & united and still going strong!! Hampton Bays Library bond rejection article still on both the Most Read (#3) and Most Commented (#1) lists on 27east.com. Two bond referendums fail in 10 months. Self-appointed, unelected library trustees are out of touch with the taxpayers. No more taxation without representation. NYS legislators need to step in and put an end to self-appointments at taxpayer funded association libraries. HAMPTON BAYS LIBRARY second #TaxationWithoutRepresentation 4/4/17 BOND REFERENDUM for a new facility REJECTED by the taxpayers 571-336. The first referendum in June last year also failed, 719-507. 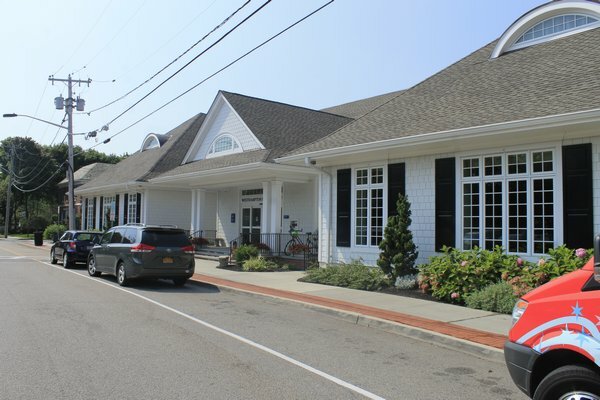 Contrast the Hampton Bays’ process and the upcoming Westhampton Free Library expansion & renovation on a brand new building with The Sag Harbor Library’s Expansion that was Led by an Elected Board, Community Leaders and Residents. The Hampton Bays Public Library is an association library that still maintains a self-appointed, unelected trustee board, like the Westhampton Free Library. Only 6 of 19 Suffolk County association libraries still cling to this governing structure though it’s undemocratic and un-American to have zero elections at a taxpayer-funded institution. Just because it’s legal doesn’t make it right. Perhaps if the Hampton Bays Library had an elected board that represented the taxpayers these bond referendums would go more smoothly. Read the recent post, Tuesday’s Hampton Bays Bond Referendum for more information. In addition, these posts were published just before and after last year’s first bond vote failed by a large margin: Hampton Bays Public Library has an Appointed Board, Too and Hampton Bays Library Dissenting Voice. The Hampton Bays Public Library is an association library that still maintains a self-appointed trustee board, like the Westhampton Free Library. Only 6 of 19 Suffolk County association libraries still cling to this governing structure though it’s undemocratic and un-American to have zero elections at a taxpayer-funded institution. Just because it’s legal doesn’t make it right.